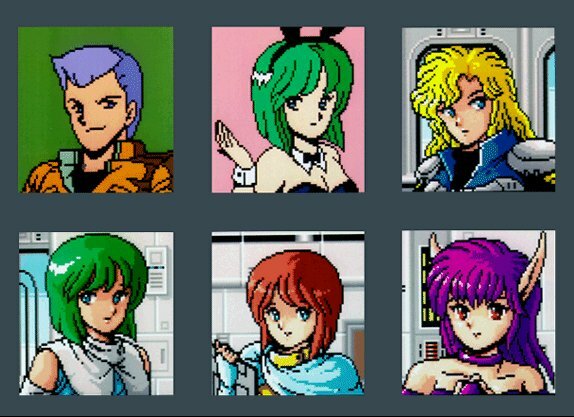 This collection of character portraits shows us a few angles on the Phantasy Star II ladies that were never used in a game. The Kain portrait was used in his Text Adventure, though with a black background instead of green. The bunny girl Shir portrait was used in her Text Adventure as well. Nei's portrait here is similar to one from her own Text Adventure, but much more detailed. The other three portraits were unused. They reflect the characters pretty well even so, don't you think?